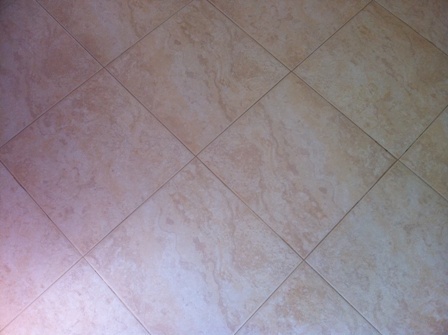 Cleaning porcelain tile is easy, if you clean them regularly. It's when you don't clean them, they become a challenge to clean. If you want to learn how to clean porcelain tile keep reading and we will show you how to keep your porcelain tile floors looking great. In general, mopping your tile floors regularly with a neutral cleaner and a flat mop, will be the best and easiest way to maintain your tile floors. 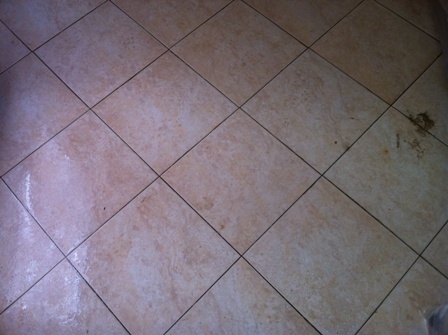 If you are cleaning porcelain tile, it will be the same as cleaning ceramic tile. The difference between porcelain tiles vs. ceramic tiles is not much and you can treat them the same. Where challenges may arise in cleaing porcelain tile floors, is if the tile has a textured surface. 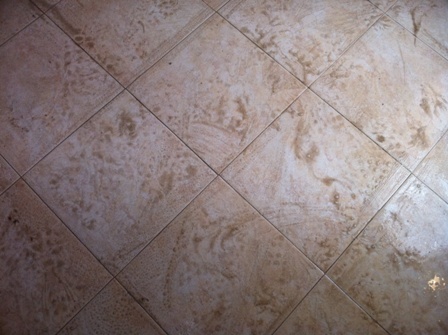 Any texture on the tile, like a low spot or small indentions, can be a place where dirt can accumulate. Also, because the grout is a low spot and if it's a sanded grout, will have some texture to it, thus a place where dirt will most likely accumulate. Cleaning textured tile and cleaning grout will pose challenges, and may require more than just using a flat mop to keep them clean. You may need to use a grout brush for cleaning grout and and those low spots in your tile. 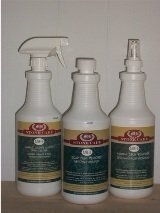 These are directions for cleaning porcelain tile that are heavily soiled and that have been neglected. 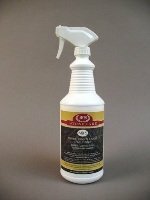 You will need a good tile and grout cleaner for deep cleaning. After you've diluted the grout cleaner to the strength needed, apply to the tile floor. I always want to start scrubbing the grout right away. Allowing for dwell time makes the scrubbing a little bit easier. You can also scrub the tiles with a deck or grout brush making sure to clean any low areas where dirt can be trapped. 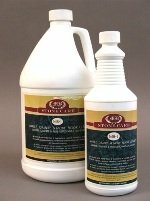 When it comes to cleaning porcelain tile and grout or just maintaining natural stone, we strive to help educate our customers on the best protection they can have, helping them save time and money in costly restoration costs down the road.